It wasn’t quite on Twelfth Night, but the closest Saturday at least. 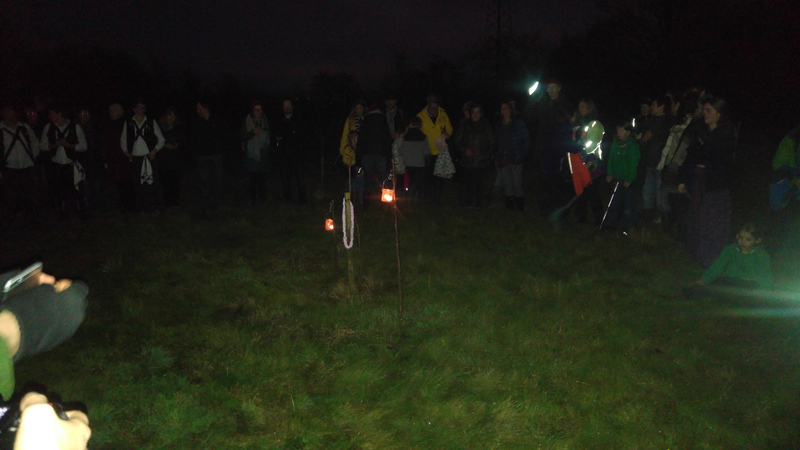 And once more we’re back at Hogacre Common Eco Park to assist in Wassailing their nascent orchard. 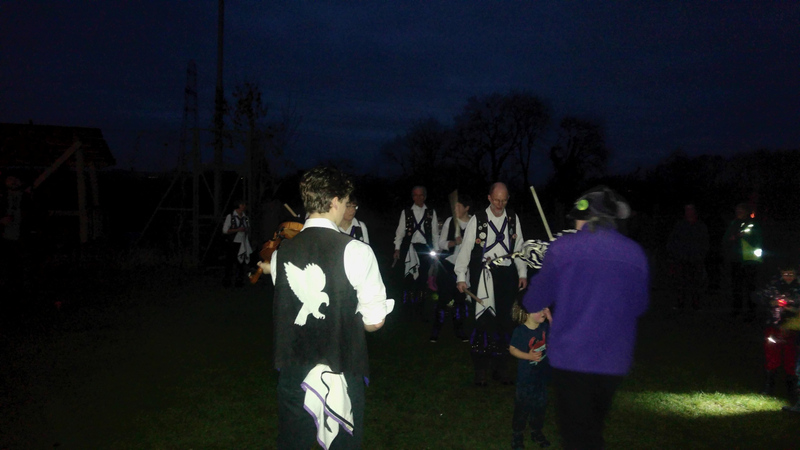 Wassailing happens mostly in the dark, so my phone camera struggled bit. About to dance Constant Billy in the gloaming at the Hogacre Wassail. After some public dancing and a mass participation Shepherd’s Hey, it’s off to the tree. The Hogacre orchard isn’t many years old, so the trees are still rather stick-like. The Wassail Tree (to the left of the lamp – they’re still young. Luckily there was a reporter from the Oxford Mail, and he not only got a much better picture of us but also wrote a rather better description of the afternoon’s events. This entry was posted in Dance Outs on January 12, 2017 by Jim Hague.